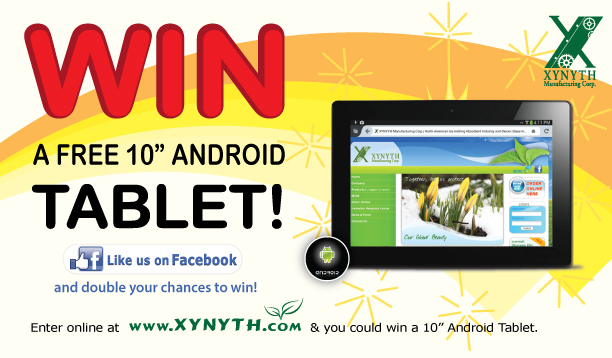 GroundWorks | XYNYTH Manufacturing Corp.
To encourage customer feedback we are giving away a free 10” Android Tablet. Anyone can enter this contest. 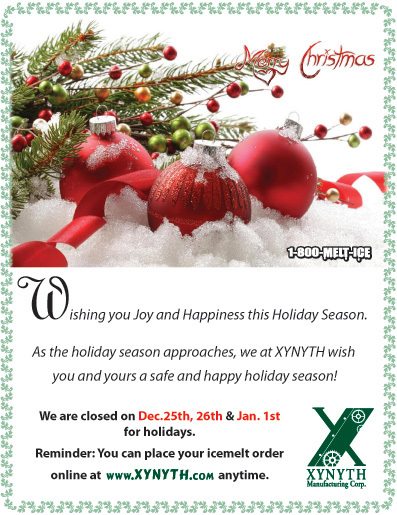 To enter simply go to our website www.XYNYTH.com and enter some feedback to win. Anyone can double their chances to win by “liking” us on Facebook. It has long been established that the use of rock salt has negative effects on the environment. In fact there are documented cases of contamination to drinking water and complete destruction of aquatic Eco systems due to excessive salt use. Samples from a storm sewer near Toronto had recorded levels 140 times over the limit set by the provincial Government. Both Environment Canada and the Environment Protection Agency in the U.S. have done studies and are working on solutions to manage this problem. The salt and other chemicals get into the water system through a number of direct and indirect ways. Once the salt gets into the Eco system, there is no way of removing it. It can only be diluted over time. This can be very problematic for sensitive Eco systems that have a slow turnover of fresh water such as natural and even artificial ponds. The best solution for this matter is to take preventative measures. XYNYTH Manufacturing has developed 3 products that are ideal to address this issue. GroundWorks Natural Icemelter™ and Mountain Organic Natural Icemelter™ were among the first environmentally friendly ice melt products to be introduced. These are fertilizer based icemelters, making them an ideal alternative for Eco sensitive areas. Because they contain potassium chloride, the run off will actually feed the plants. This ultimately means less sodium chloride will get into the water supply. It should be noted that icemelters containing urea should be strictly avoided around water ways. Urea contains nitrogen and breaks down to ammonia in the environment, which is extremely toxic to aquatic life, even in small doses. XYNYTH has recently introduced a new product called Winter Warrior Runway Control™. 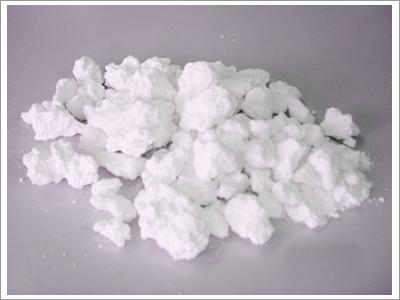 This product is completely chloride free and urea free. While it was initially designed for runway use, being that it is completely non-corrosive and federally approved, it is also ideal for use around sensitive water systems. It is important to not associate all “pet friendly” icemelters with fish friendly products. Some products like Safe-t-Pet™ or Safe Paw™ are made with urea. 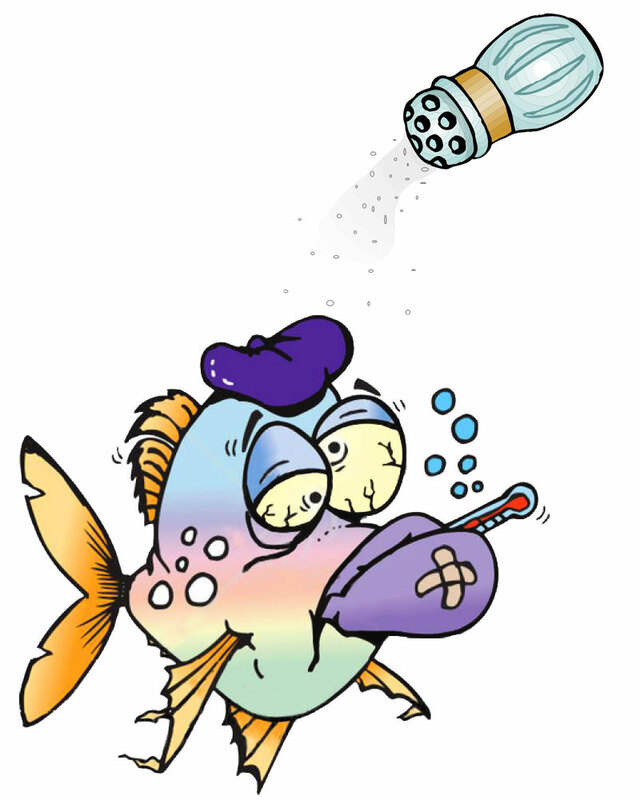 While urea is usually safe around animals, it is deadly to aquatic life. A little chloride is not so bad, as it seems to be well known by owners of fish ponds that adding some chlorides can be beneficial to act as water softeners and help reduce parasites. Some experts also recommend using potassium based chlorides as they have some benefits to fish. For best results consult your local expert. Ice melters for your loving pets! XYNYTH Manufacturing Corp.’s GroundWorks Natural Icemelter™ is a premium product, with all the benefits of tradition ice melters, but none of the risks: While traditional ice melters are toxic, dangerous, and damaging, GroundWorks™ is environmentally-friendly, safe on concrete, safe on lawns and landscaping, safe for use around children, and safe for use around pets. Why? Because GroundWorks™ is made of potash (potassium chloride, or KCI) , a colorless crystalline solid or powder used widely in fertilizers and in the preparation of most potassium compounds. When pets come into contact with traditional ice melters, like calcium chloride for example, their paws are burned, and their eyes, noses and tummies are irritated. The same concern simply doesn’t exist if they come into contact with GroundWorks™ . In fact, potassium chloride is used for many things — we come into contact with it daily! resistance, increased resistance to stress from drought. In fact, using potassium chloride near plants, crops and landscaping can help to repair some of the damage caused by the over-application of sodium products over the years. Home-owners and building managers use potassium chloride as an effective water softener to eliminate the calcium and magnesium in groundwater that cause soap scum and lime scale, and as such it is often present in our drinking water.People with cardiovascular disorders and those who want to avoid sodium, use potassium chloride as a salt substitute. And though it’s not considered as tasty as its less-healthy counterpart, it’s a food additive in many things we eat, including cheese, margarine, ice-cream, breakfast cereals, sweeteners, soups and broths, beer, and many processed/freeze-dried, and canned foods. Because potassium is a mineral required for healthy physiology, it’s also an ingredient found in many over-the-counter and prescription medicines. Potassium chloride is so safe that it’s a common alternative to traditional salt licks often put out for livestock including deer and horses. Popular pet food brands like Beneful®,Hill’s Science Diet®, Nutro® Natural Choice, Pedigree®, Purina®, Iams®, Eukanuba®, and Kibbles ‘n Bits® all include potassium chloride as an ingredient in a variety of their specialty foods. Safe for crops, safe for plants, safe for soil, safe for concrete, safe for water, safe to eat . . . GroundWorks™ is the safest icemelter on the market. So when the safety of the four-legged members of your family counts, choose GroundWorks™.